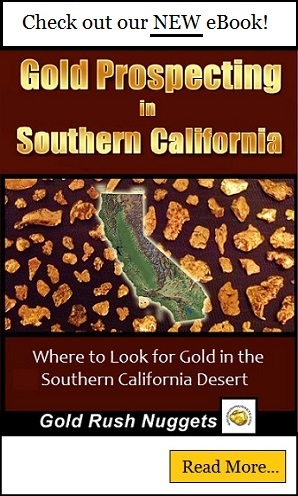 California is famous for gold, but there are also a variety of gems and minerals that are found in the state as well. Below are a few public mines where you can spend the day searching for a variety of different minerals. Benitoite Gem mine is located in San Benito County west of Diablo range approximately 25 miles North of Coalinga in California. This is an important gemstone mine in the state of California. This is because it is rich in Benitoite, which is one of the rarest gemstones in the world. Benitoite is California's state gemstone and is an exceptionally rare gemstone. If you want to buy or mine your own Benitoite, then you will want to visit the Benitoite Gem mine. Golden Caribou Mining sits on more than 1500 acres of gold-rich claims North of Feather River adjacent to its tributaries in the Plumas National Forest. The ground is open to public mining through membership to the small-scale miners association. Your membership will guarantee two adults and 18 children access and exploring the mines for gold nuggets. So if you are into gold mining, try your luck at these claims. Himalaya Mine is located at Lake Henshaw near San Ysabel, CA in San Diego County. It is a famous tourmaline mine that produced more tourmaline than any other mine in the world about a century ago. Today it is still known for producing some beautiful pink, green, and black tourmaline specimens, along with many other valuable minerals such as spessartine garnets, calcite, lepidolite, morganite, topaz, and quartz crystals. The Oceanview Mine is one of the few active gem mines in southern California. It is located in San Diego County in Pala, California. Visitors can take a tour of Chief Mountain to see active mining operations taking place at some of the famous gem mines in this region. You can also try your luck screening dump piles for a variety of minerals including tourmaline, topaz, garnet, quartz, and many more. This is a popular destination for rockhounds from Los Angeles and San Diego. This is one of the oldest mines in San Diego County that is still open to the public. It is located in Pala, California and is open several days per month for active digs. A wide variety of valuable minerals are found by searching the historic mine dumps in this area including aquamarine, garnets, kunzite, morganite, and tourmaline. Quartz varieties from clear to smoky are also found. Unlike many pay-to-dig operations, the materials are unsorted, and you have a good chance of finding high-grade materials that were missed by the early mining operations. Roaring Camp is located on the Mokelumne River in California's Mother Lode. It is today a great family recreation facility where you can come to explore for gold and do a lot of other things. This old gold mining camp was only accessible by horseback in the past and thus, many of its gold deposits remain intact. Roaring Camp Mining gives you a great opportunity of mining your own gold. Other than gold digging, you can also enjoy other activities such as swimming and diving in the river, exploring the river further down and hiking to the waterfall to enjoy the overall beauty of the Mokelumne River. This mine is located in the Pala mining district, in North San Diego County, California. This mine has a great history having been opened in late 19th centuries. Although it is no longer mined commercially, you can now visit the mine and find important gems such as morganite, kunzite, and elbaite among others. You can enjoy great moments with family in the pink soils searching for great gems.